Dance and music predate civilization, and are deeply rooted in the innermost core of what it is to be human. Our resonance with rhythm begins with the mother's heartbeat; movement and music seem natural extensions of this, common to all cultures worldwide. 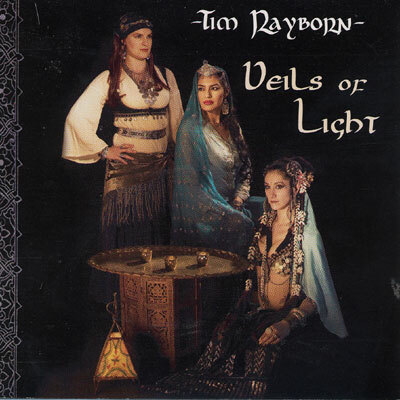 Veils Of Light encompasses these ideas by crossing the borders of many different cultures, transcending time, and bringing the birthplaces of these exotic textures to life with the gentle breath of a flute or the precise hand motion on a drum. Tim Rayborn hopes to inspire others to create new dances from his original and unique compositions that represent the spirit and flavour of the Balkans, the Middle East, and Central Asia.